In the third of a five-part series, B Dashrath Reddy/Business Standard reports how Visakhapatnam aims to be like San Francisco, with plenty of inputs from the US. 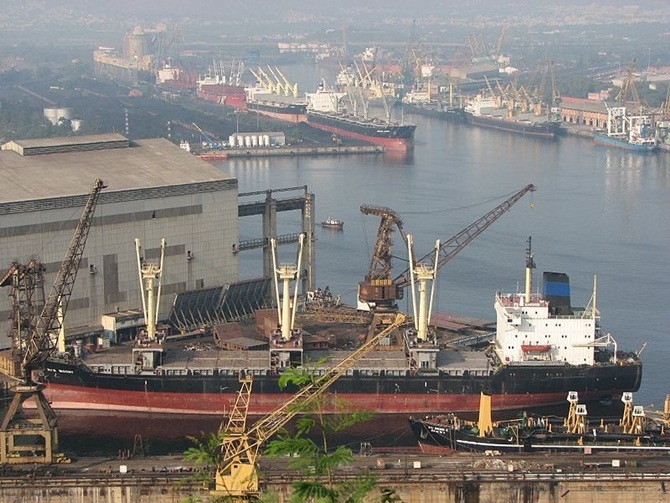 Visakhapatnam, the biggest city in the coastal state of Andhra Pradesh, home to around 2.2 million, has all the ingredients to attain international class, if adequate focus is given to infrastructure, say observers. The port city also plays host to thousands of tourists every year, especially because of its cosmopolitan culture. Those perhaps are among the reasons why it was in the list of the first 20 selected in January for the national project on Smart Cities. The goal is apparently to be another San Francisco once the project completes. If so, there’s much to do. 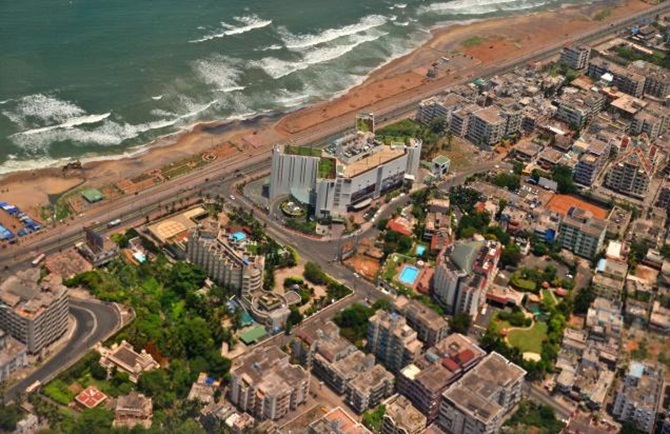 "You will see a visible change in Visakhapatnam in three years from now, in terms of the quality of life, infrastructure and connectivity,” Praveen Kumar, commissioner of the Greater Visakhapatnam Municipal Corporation (GVMC), told Business Standard. Most of the work on the 20-25 sectors identified under the Centre’s five-year project is proposed to be completed in the first three years, says Kumar. The launch is on June 25, coinciding with the completion of one year of the Centre’s announcement on the 100 Smart Cities project. Under the project, about 1,700 acres in the city, from Coastal Battery to Kurupam Junction, from the latter to Jagadamba Junction, and from Jagadamba to Coastal Battery, will be developed. A project monitoring consultant will be appointed to prepare request for proposals and oversee the implementation in the identified area. A 24-hour water supply, a perfect drainage system, cycling tracks, an intelligent transportation system, complete WiFi connectivity, pollution monitoring, smart meter usage for electricity consumption and transforming existing slums into normal neighbourhoods are among the initiatives being taken up. It is proposed to spend around Rs 2,000 crore on these. Apart from the Rs 500-crore central grant, the state government plans to bring in Rs 800 crore through the convergence of various urban development schemes. Another Rs 200 crore is expected from the private sector under public-private partnership. This is one part of a much bigger smart city plan. During Prime Minister Narendra Modi’s first US visit, the American government had offered help in developing three cities — Vizag, Allahabad and Ajmer — into smart ones, with the involvement of American companies. 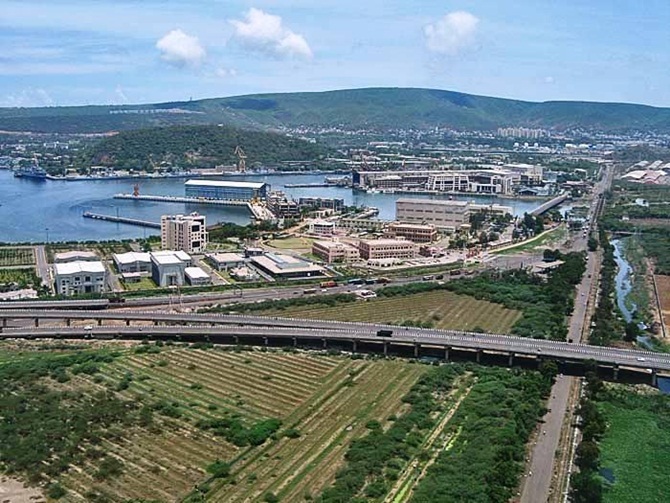 This February, the US Trade and Development Agency (USTDA) had signed an agreement with the Andhra government for development of Vizag as a smart city. The USTDA is giving $5 million (Rs 30 crore) for preparing the master plan.On February 18, the state government constituted a special purpose vehicle (SPV) to plan, appraise, issue money and evaluate the Smart City projects; it is called the Greater Visakhapatnam Smart City Corporation Ltd. The SPV was incorporated under the Companies Act; the state and the urban local body are the promoters, each having half the equity. A consortium of three US-based firms -- AECOM, KPMG and IBM -- was given the task of developing the master plan. And, of preparing the detailed project reports for at least six areas - disaster management, water supply, sanitation, sewage treatment, safety & security and a non-motorised transport system. US consul-general Michael Mullins says several American companies will be taking part in implementing the projects, once the master plan is ready. In fact, many firms from the US have already opened offices in Visakhapatnam, also having entered into collaboration with local entities to provide the services. On March 11, officials from the district administration, GVMC, Visakhapatnam Urban Development Authority and the city police held a meeting with the consortium of consultants to broadly discuss the road map. It was decided to prepare the first phase of the master plan in five months and the entire plan by July 2017. This project will then be implemented over an area of 6,000 acres, requiring much bigger investments. 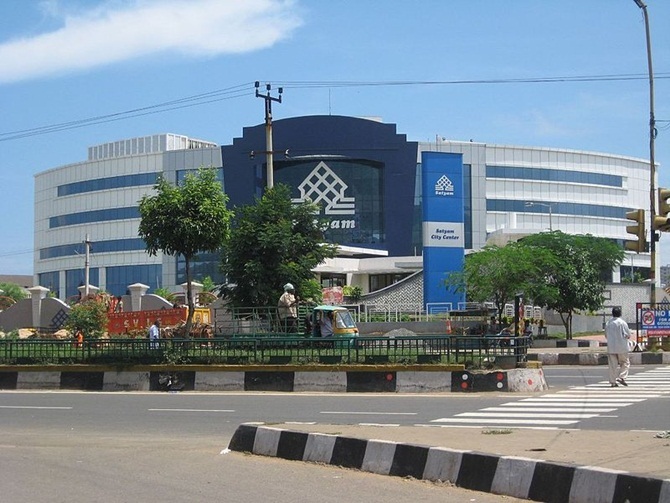 “Vizag is far ahead in terms of the preparedness to become a smart city, compared to some of the other cities in the list, owing to its infrastructure, cosmopolitan culture and high degree of discipline among citizens,” Maple Software chief executive G S Shiv Kumar, also president of the state chapter of the Confederation of Indian Industry, told Business Standard. With the implementation of smart city solutions in various walks of urban life, including traffic management, the livability and happiness index would substantially go up, he said. For the larger project where the US agencies are involved, the government authorities have been benchmarking Vizag with San Francisco when it comes to the targeted outcomes. San Francisco was also chosen because of the geographical similarity. In northern California, it is on the tip of a peninsula, surrounded by the Pacific Ocean and a bay. The city is also known for its hilly landscape, among other picturesque places. 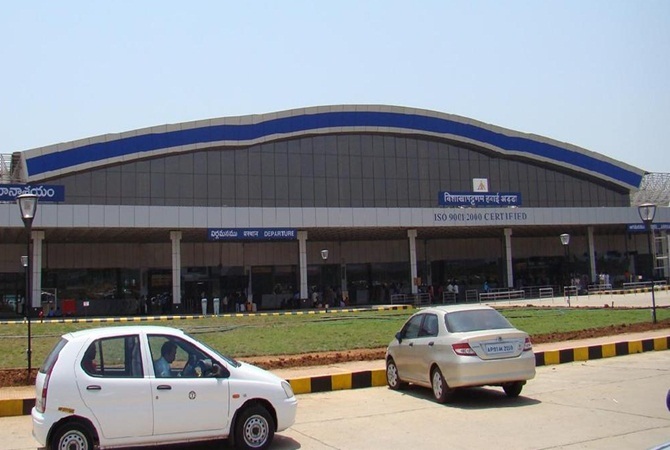 Vizag, too, has a hilly terrain, several big ones such as Kailasagiri and Rishikonda overlooking the Bay of Bengal.